A Dual gate entry leads you into this iconic property seated on 1.15 acres, boasting 7162 sf of lvg space in 2 amazing log cabin Homes. 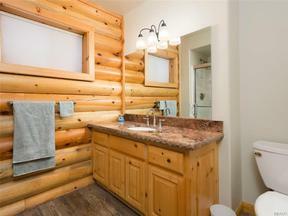 Cabin 1 has a 2nd level ensuite master w/dual vanities, glass shower, stand alone tub, & water closet. An upper den area, 2 first level ensuite bdrms, 1/4 guest bath, living room, dining room, wet bar, Stone fireplace, wood floors & carpet. Cabin 2 has a dual staircase w/ carpet that leads to the 2nd level ensuite master w/ an 8 person jacuzzi, walk in shower, dual vanities, & water closet. 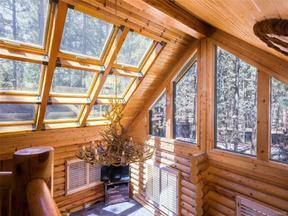 A single 1st level ensuite bdrm, huge great room with stone fireplace, & formal dining. Each cabin has a huge kitchen with SS appliances, stone counters, pantry & laundry. Exterior features a beautiful pond w/ water fall, lush landscaping, 4 decks for entertaining, a 3 hole putting green, and a huge garage which also has it’s own bathroom. 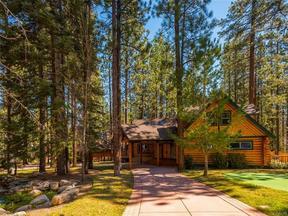 All these amenities surrounded by beautiful forestry makes this property more than a get away, It is a complete ESCAPE!